The Greater Washington, DC Metropolitan Area real estate market is my specialty. Whether you are buying or selling a house or condo in Washington, DC, Bethesda, Chevy Chase, Potomac, Washington, DC, Arlington, McLean, Falls Church, Vienna or any where in the Capitol Region, you have found your Realtor resource. As a licensed Realtor in Washington, DC, Maryland and Virginia, I have been exceeding my client’s expectations for the better part of the past 20 years. Client satisfaction is my highest priority which I provide by utilizing my extensive knowledge of the local real estate market, superb negotiating skills, attention to detail and my many years of experience through all kinds of market conditions. Through this web site, you have the ability to search virtually every home for sale in any neighborhood in the area. In addition to accessing properties for sale, this web site features comprehensive community information that can help guide you in making the right buying or selling decision. A transplant from the mid-west, I love living in Washington, DC, which I have called home since 1991. I am active in the local community and an avid supporter of several local charities and organizations. When not working I enjoy traveling, skiing, biking, reading, cooking and spending time with my dog, Dylan. 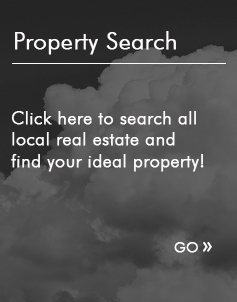 This web site features every real estate tool you need when researching properties for sale in the Greater Capitol Area. 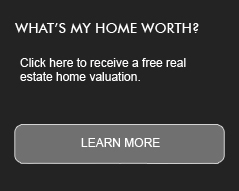 You can browse exclusive homes for sale and search virtually all Washington, DC area listings through the property search feature, calculate mortgage payments on your next home with my real estate mortgage calculators, access home buying and selling tips and access a wealth of area information. Furthermore, you can find out how much your property is worth, and access comprehensive information about selecting me as your real estate agent. If you are interested in learning about area schools, this site also can help you with that too. Sotheby's International Realty® is a registered trademark licensed to Sotheby's International Realty Affiliates Inc. Each office is independently owned and operated.